Here is a review and images we received from a Sergent 1st Class, I'll let the review and images speak for itself. The only thing we will add is a big thanks to Paris for the great review and images. "Starting from the yoke, it is well made and the shoulders are wide which distribute weight better, I have been wearing the complete kit for 5 days straight I can say without any doubt that the yoke did not dig into my shoulders. I had my camelback hydration system on the back and that did not affect me at all which worked great. The yoke under the armor was fantastic not a problem no pressure points. The yoke was well balanced like it wasn’t even there. 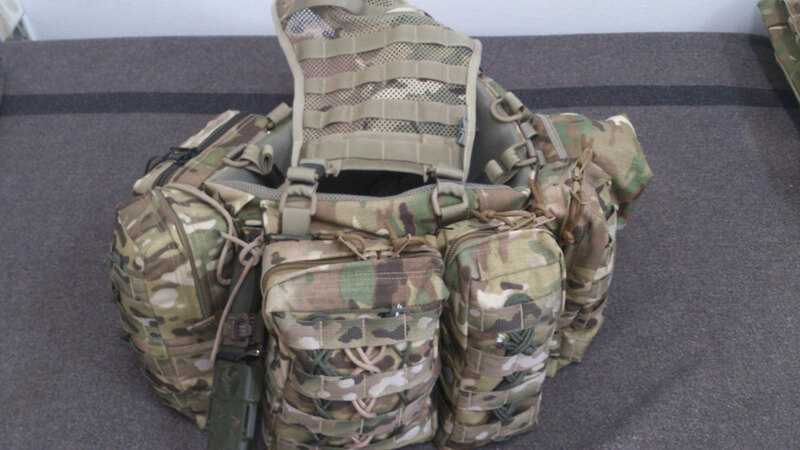 The pouches are great, vertical pouches gave me the opportunity to separate the gear and balance the load out on my belt due to the fact that they take up only 2 molle rows. 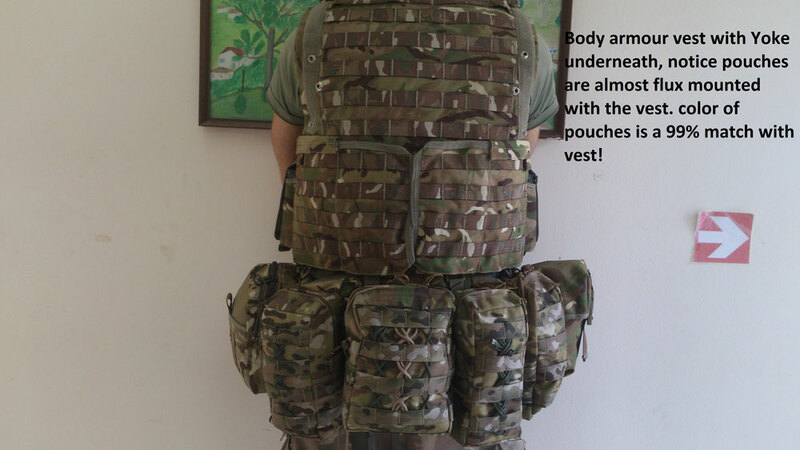 The large pouch gave me the benefit to fit bigger items if I needed for example anything from underwear to rations or even minimi magazine which works out great. 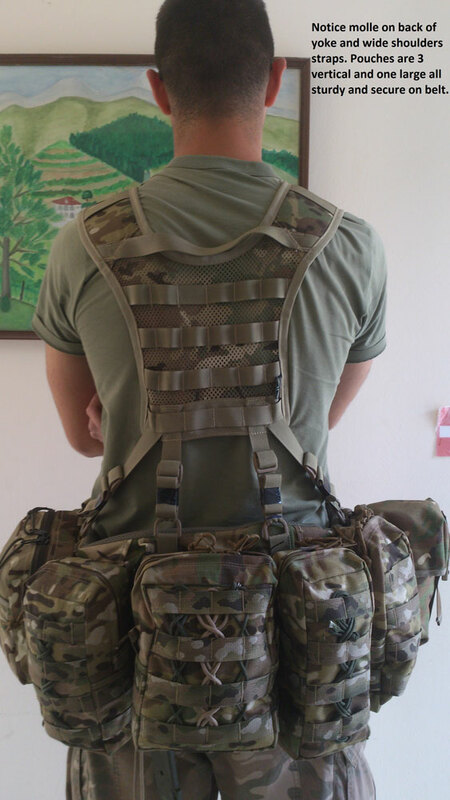 I am astound at how strong the pouches are and the extra molle on the outside is great I can attach any other pouch I need . I was reluctant at first about the straps at the back, I feared they would come off but after a rigorous drill that lasted for a week I have no doubt that the only way they will come off or get destroyed is only intentionally. The fact they have no metal studs is great safety wise, this means no secondary shrapnel. Overall I am very satisfied with my new gear, I think this is money well spent and out of a rating of 10 I give 12 not to mention the lifetime warranty. 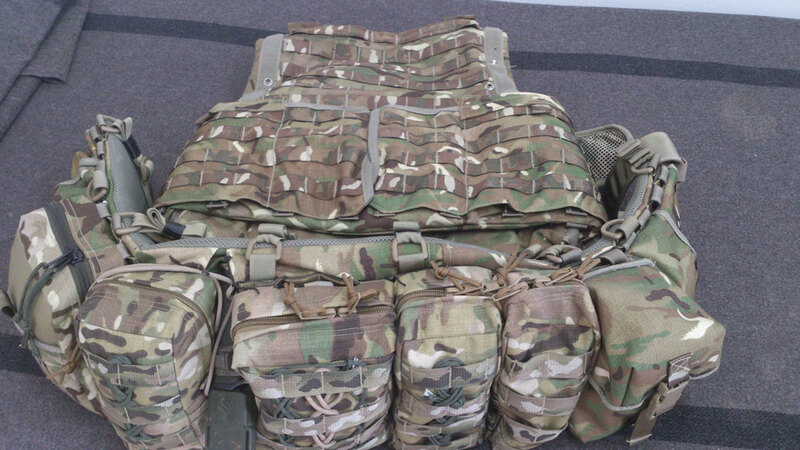 Special thanks to Dave and all the people that helped at British Tactical for helping me out with my Kit.